1 “If you love me, receive instruction from me,” June 7, 2010, www.denversnuffer.com/blog. 20 Then the leaders retorted, When we refer to you as a Samaritan possessed by a devil we have accurately described you. Jesus answered, I have no devil guiding me; I obey my Father, and you dishonor both him and me. I do not pursue acclaim or honor. You are the ones that seek acclaim and wrongly judge me. In the name of Father Ahman I say to you, If anyone stands watch awaiting direction from me, he shall not be overtaken even by death, throughout eons. Then the leaders of the Jews said to him, Now we know that you are possessed by a devil. Abraham is dead, along with the prophets who were God’s chosen. Yet you claim, If a man awaits direction from you, he shall not be overtaken by death through the eons. Do you claim you are greater than our father Abraham who was overtaken by death, greater than the prophets who are dead? Is there no limit to your vainglory? Jesus replied, If I honor myself, my honor is nothing. It is my Father who honors me, the one who you falsely claim is your God. Unlike me, you do not know him. If I were to say, I do not know him, I would be as much of a liar as you are when you falsely claim him as your God. I not only know him, but I watch for his words like a sentinel always awaiting his direction. 11 If you love me, stand ready, watching for every communication I will send to you. Remember that I will ask the Father, and he will provide to you another Comforter, that he may be by your side endlessly. You will obtain the record of Heaven, the truth of all things which is denied to the world because the world refuses my Father, and therefore they do not know him. But you know him, for he is with you, and shall provide answers to guide you. I will not leave you comfortless. I will stand at your side also. 12 Yet a little while, and the world will no longer see me, but you will not lose sight of me because I give life, and you shall share in endless lives. You will know that I and the Father are one, and I am one with you, and you are one with me. He that treasures my teachings, and stands ready, watching for every communication I send him, is he who shows love for me. To those who show love for me, my Father will show love to them, and I love all those, and I will personally minister to them. 13 Judas (not Iscariot), asked, Lord, how is it you will manifest yourself to us, but not to the world? 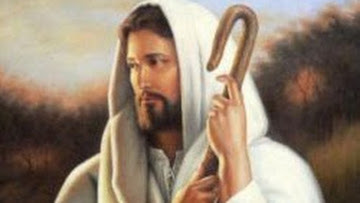 Jesus answered and said to him, If a man loves me, he will stand ready, watching for every communication I will send to him; and my Father will also love him, and we will come visit him, and continually abide by his side. 14 Whoever claims to love me but does not stand ready, watching for every communication I will send, indeed does not love me. These teachings are not from me, but come from the Father who sent me. 31 I have explained your title to the men you gave to me from out of the fallen creation. They were yours at the beginning, and you have given them to me as my offspring. And they are devoted, prepared and always waiting to respond to your words. Now they understand and accept that everything I have done and taught comes from you. For I have said to them the things you told to me. They are devoted to the truth and know I am your sent Messiah. I pray for them, and what I ask is for them and not the world, for they are yours. And all who are devoted to me are yours, and you share with me, and I am their light. I am soon to depart from this creation, but these followers will remain here as I return again to be with you. Holy Father, please watch over these like a sentinel. Protect and guard them using your power, so that they may be united as one, as we are united as one. While I accompanied them in the world, I shared light with them in your name. Every one you gave to me I have kept, and none of them will be lost to us, other than the son of perdition. Those who are kept and those who are lost are divided according to your covenant made from the beginning. 42 We are better off taking advice and instruction from God than giving it to Him. Most of mankind is unwilling to accept advice and instruction from Him, and therefore they never hear Him. 17 Hear, O my son, and receive my sayings; and the years of your life shall be many. I have taught you in the way of wisdom, I have led you in right paths. When you go, your steps shall not be distressed; and when you run, you shall not stumble. Take fast hold of instruction, do not let go; keep her, for she is your life. 37 Now therefore listen unto me, O you children, for blessed are they that keep my ways. Hear instruction and be wise, and refuse it not. Blessed is the man that hears me, watching daily at my gates, waiting at the posts of my doors; for whoever finds me finds life, and shall obtain favor of the Lord, but he that sins against me wrongs his own soul. All they that hate me love death. 1 In the land of the Chaldeans, at the residence of my father, I, Abraham, saw that it was needful for me to obtain another place of residence. And finding there was greater happiness and peace and rest for me, I sought for the blessings of the Fathers and the right whereunto I should be ordained to administer the same. Having been myself a follower of righteousness, desiring also to be one who possessed great knowledge, and to be a greater follower of righteousness, and to possess a greater knowledge, and to be a Father of many nations, a prince of peace, and desiring to receive instructions and to keep the commandments of God, I became a rightful heir, a high priest, holding the right belonging to the Fathers. It was conferred upon me from the fathers: it came down from the fathers, from the beginning of time, yea, even from the beginning or before the foundations of the earth, to the present time, even the right of the first born, or the first man, who is Adam, or first Father, through the Fathers unto me. I sought for mine appointment unto the Priesthood according to the appointment of God unto the Fathers concerning the seed. 9 Verily, verily I say unto thee, Blessed art thou for what thou hast done, for thou hast inquired of me, and behold as often as thou hast inquired, thou hast received instruction of my Spirit. If it had not been so, thou wouldst not have come to the place where thou art at this time. Behold, thou knowest that thou hast inquired of me and I did enlighten thy mind, and now I tell thee these things that thou mayest know that thou hast been enlightened by the Spirit of truth. Yea, I tell thee that thou mayest know that there is none else save God that knowest thy thoughts and the intents of thy heart. I tell thee these things as a witness unto thee that the words or the work which thou hast been writing is true. Every person who has ever lived is one-of-a-kind. You can “hear” God’s voice, but how it comes to you may be different from how it comes to anyone else. Frequently the description we get in scripture is merely “the word of the Lord came” to the prophets. It comes to the mind, or it is “heard” in the mind, or it is sensed in the impressions, or it is dreamt, or it is a conviction that comes with palpable certitude. However it comes, and in any individual case it may do so in an altogether unique way; it comes from a source outside of you. Often it is surprising, not at all what was expected. It can be inconvenient, requiring from you what you would not voluntarily seek. These are not just “emotions” or “feelings”, rather there is an intelligence to it which originates from outside of you and which delivers a message to you — not feelings, but a message. After receiving the “word,” confirmation follows. The confirmation allows a person of faith to see evidence or support for their belief and trust in God. Again, when it comes to the confirming sign that follows faith, the variety of forms is unique to the person. First, however, remember you are unique and will have unique experiences in relating to God. Given the care with which you have been organized as an individual creation, how can you expect communication with the Lord to be standardized? Why would the way in which He speaks with you be identical to the way in which He speaks to all others? Why wouldn’t He carry on a conversation with each of His children in ways adapted to the individual child? But as you see His “voice” through the eyes of faith, you begin to realize it comes from Him. The ordinary contains the extraordinary. You must see the extraordinary in the ordinary before the truly extraordinary opens up to you. You must have faith before you are shown signs. The great difference between prophets and others is not in God’s willingness to speak but in the refusal to listen. Some listen, and they are prophets. Others do not and struggle to believe the prophets. God, however, has and does speak to us all. We are unique, and God’s ways of speaking to each of us is as unique as each of us. We do ourselves a great disservice when we attempt to fit ourselves into a singular, stereotypical persona seeking only a singular way for God to talk with and to us. We make ourselves into something we aren’t, in the search to find what cannot be found that way. If we demand only the extraordinary before we will recognize His voice, we run the risk of looking in the wrong way for Him. His voice is there. He speaks to all of us. But we can miss it if we are not attuned to listen. You may never be able to hear God speak to you in the way in which others hear Him. If you determine He must speak to you in a specific way and not in any other way, you can go a lifetime without ever having a conversation with Him. He longs to speak with each of us. Within each of us there is something uniquely attuned to Him. How He reaches out to you may be as singular and unique as you are, and you can be assured He is reaching out. In fact, God is rather noisy if you will allow Him to be. We were never intended to live without a direct connection to Him. How each of us receives contact with God, how we hear His voice, and what gifts we possess are unique. There is no single, universal way for one to “hear [His] voice and know that [He] is” (T&C 36:8). And so it is a mistake to ignore your own unique talent for “hearing” your Father in Heaven. He did not send you here powerless to hear Him. But it will require you to develop the capacity. Relying merely upon your “feeling” or “emotions” alone is insufficient; you must learn to hear His voice. All of the prophets referred to above, from Moses to Gideon to Elijah, received contact from God. They were certain Who it was that spoke to them. They obtained intelligence, heard His voice, and learned from Him. None of them relied upon mere “feeling” but instead “heard” words from Him. He spoke with them just as He did with Nephi.1 (See Nephi’s Isaiah, chapter 18 for a more detailed discussion.) See PRAY. 1 Nephi’s Isaiah, 287 – 297. See Nephi’s Isaiah, Ch. 18 for a more detailed discussion.